← The Mystery of the Missing Followers – Solved! What a Week – Time to Bring out some Awards! What a week it’s been. Always a time of reflection at this time of year as we remember 9/11 and of course this does wonders for concentrating our minds on what really matters in the grand scheme of things. Life does go on relentlessly however, whichever way we look at it. For starters, I certainly wasn’t expecting that I would be writing a post this week about the loss of our poor, sweet Eric. I miss him so 😦 Then, as the week progressed, it was evident that WordPress gremlins were playing havoc with us. I was horrified as I watched the number of my followers (better to say friends as my friend Bob pointed out in his recent blog post about this subject) drain away in front of my very eyes. The only time I usually see numbers draining away like that is when I go online to check my bank account balance. Today, I drove to my local petrol station to fill up my car only to discover that it was closed. No reason that I could at first see, but then, as I was turning around, and very annoyed at having to do so I might add, I did see some workmen clearing up quite a bit of broken glass on the ground. I found out later that a woman had driven her car straight into the glass-fronted shop next to the petrol pumps. That’s not good. It’s been one of those strange, mixed-bag kind of weeks. 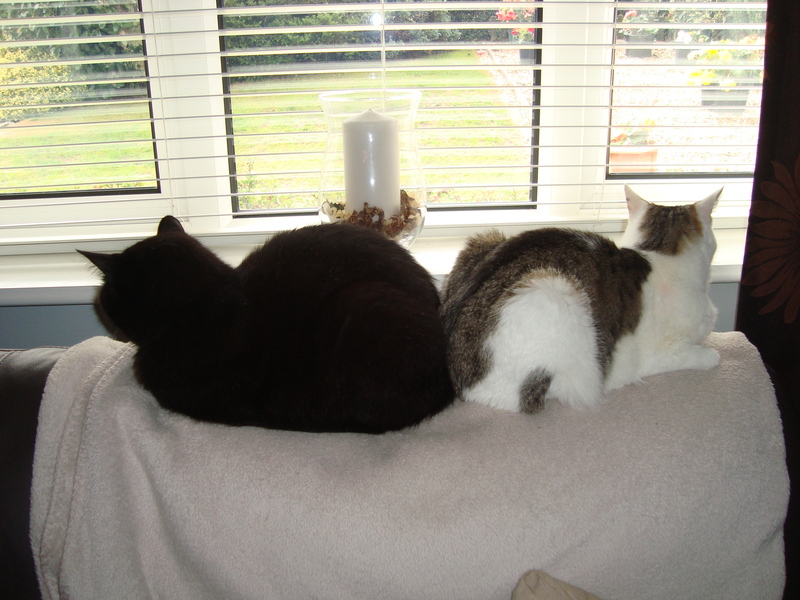 Even the cats have fallen out and aren’t talking to each other. All is not lost, however! This week did see me celebrate my birthday and I am actually very happy because this weekend I will have all my baby chicks back in the nest again for a belated family get together. I love it when my boys are home and we are all together again. I am also very blessed that both my boys have lovely girlfriends. Family and friends. I don’t take any of them for granted. Over the past several weeks, I have been very blessed with a handful of wonderful awards from some of you and, although I won’t be taking part in the rules for these awards having previously participated, I do very much want to take this time to acknowledge and thank each one of you so very much for thinking of me and for your kindness, it means a great deal to me. Firstly, The Sunshine Award was sent my way by my lovely Aspie friend Darren of Aspie Story. Darren has encouraged and inspired me so much as he shares his own struggle with Asperger’s, while giving me great insight into my Aspie Daughter’s challenges. He takes great photos too, is always interesting and informative and I just love reading his blog. You will too! Thank you so much Darren! Secondly, lovely Jenn of That’s a Jenn Story awarded me with the Leibster Award. Jenn is a published author of a children’s novel and her blog is packed full of her ‘slice of life’ stories which are a pleasure to read. Be sure to check out her blog. Thank you Jenn, you are a star! 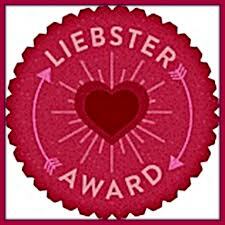 Thirdly, another Liebster Award from the lovely Jane. Many thanks Jane! She describes herself as a 40 something mum with two delightful young boys, one with Autism and one with Aspergers, who writes about her daily struggles and victories over at her blog ASD Mummy with Issues. Then another surprise! Just as I was getting ready to complete this post, I had a message pop up from Wendy from Searching For The Happiness to say that she wanted to give me the One Lovely Blog Award. Oh, I have such a big smile on my face! Thank you so much Wendy! If you haven’t checked out Wendy’s blog yet, you simply must. She is a successful blogger and freelance writer and is very generous with sharing what she has learnt with her followers. Wendy has given me some great advice and I know she will be happy to do the same for you too! This is one award which does not require any rules. I love giving presents and this being my birthday week (any excuse to keep the celebrations going) I want to give you a present. Because all of you here are lovely to me, I invite you to please accept this award and display it on your blog proudly, because you deserve it. Take it, it’s yours, and many congratulations! This entry was posted in Awards, CATalogue, Current Affairs, Musings and tagged 9/11, Asperger's Syndrome, Autism, Awards, Birthday, Blogging, cats, Celebrations, Challenges, Current Affairs, Encouragement, Followers, Friendship, happiness, Inspiration, Liebster Award, love, Musings, One Lovely Blog Award, thank you, The Sunshine Award. Bookmark the permalink. 31 Responses to What a Week – Time to Bring out some Awards! That’s a very cute photos of your cats. I hope you have a lovely time with all the chicks back in the nest, congratulations on your awards (you deserve them!) and thanks for the shout-out. Love the cat pics!! So typical of felines. Congratulations on all of your awards. You are creating quite an impressive side bar of lovely images and sentiments. Thanks, also, for the mention of MoggiePurrs! Hi Sherri! First, I must say a huge thanks for the shout out and subsequent award you have bestowed on me and my little blog. I’m not quite sure what to do about awards, to be honest, but that doesn’t mean I can’t accept graciously! Thank you for the award Sherri, I will treasure it! And have a fab party with your family – it is very rare I gather all my brood close (one lives in Sydney) but when it does happen it is fantastic. Wow Thanks for the shout out! Also I’ve found a couple of really interesting blogs through your page today. Darren’s photography is amazing. Thank you very much for the kind words and the award! It’s also a real encouragement to keep writing. Sounds like you’ve had an interesting week. I’m sure next week will be much better and within no time, your cats will be facing each other again. 😉 Love that picture! Wishing you a happy belated birthday, Sherri, and congratulations on your awards. They’re a tribute to you and your writing — your friends love you. Belated Happy Birthday, Sherri. God bless. And congratulations for all the awards and many more to come. 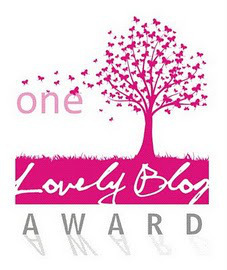 Dear Sherri- thanks again for the One Lovely Blog Award. When you have a moment you can check out my acceptance post at this link: http://jardinluxembourg.wordpress.com/2013/09/17/the-one-lovely-blog-award/ . Have a nice evening!